The Women's Land Army - feeding the Home Front! 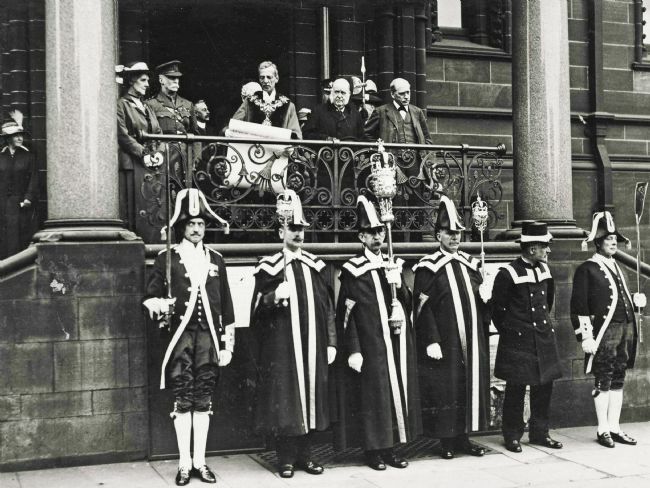 This resource is part of a WW1 Centenary Project called Preston Remembers, funded by the Heritage Lottery Fund and Arts Council England. In World War One many men from the farming industry joined the armed services, leaving the country in short supply of agricultural workers. Adding to concerns about British food stocks, the wheat harvest of 1916 was lower than usual and the potato crop in Scotland and parts of England failed. Food prices started rapidly increasing, making some items unaffordable for many people. The situation deteriorated even further when, on 9 January 1917, Germany announced unrestricted submarine warfare. This meant that British merchant ships transporting food from overseas would be at risk of being sunk, worsening the shortages. The authorities had to take action. 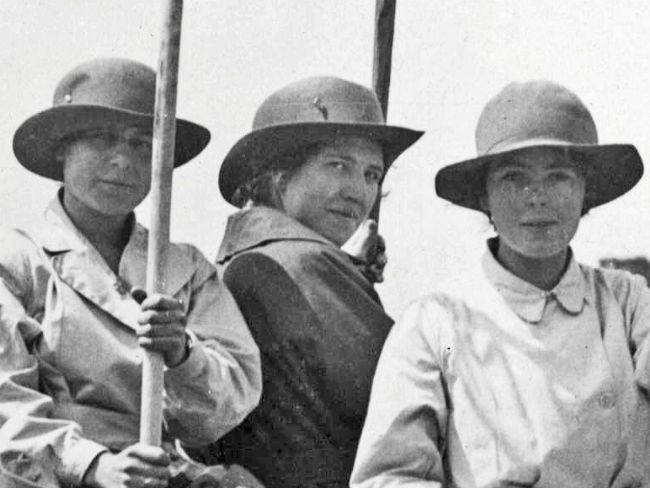 In 1917 the Women’s Land Army was formed to provide extra voluntary labour, with 'Land Girls' replacing servicemen who had left the farms to fight. The government also created propaganda campaigns encouraging people all over the country to start growing their own food. For example, in February 1917 the Preston Committee was formed to secure 700 plots for allotments in the town's parks and other public land for the growing of food. This increased to 1,845 by 1919. 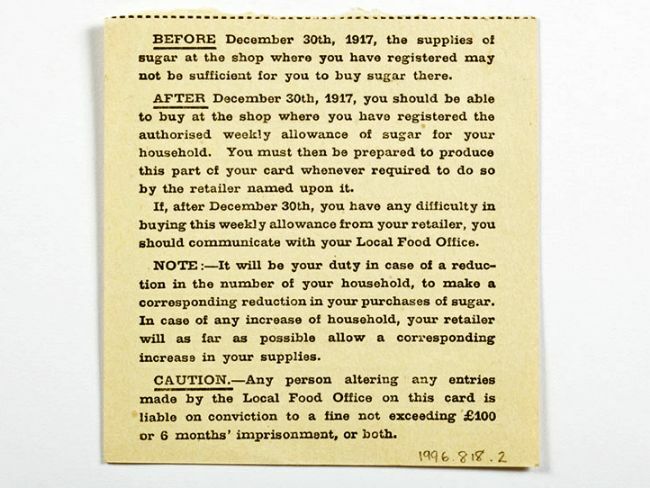 A scheme of voluntary rationing was promoted on 1 February 1917, with the aim of reducing the consumption of food in short supply, and to show how to avoid waste when cooking. Teachers in elementary schools took up the challenge and cookery centres were established in Preston. Although this voluntary scheme had some effect, more was still needed. In Preston, a food control office was set up in the Harris Museum to fix the price of milk and, from October 1917, butter too. Shortages continued and although wealthier people could still afford food, malnutrition was seen in poor communities. To try to make things fairer and ensure that everyone received their fair share, the government introduced rationing in 1918. 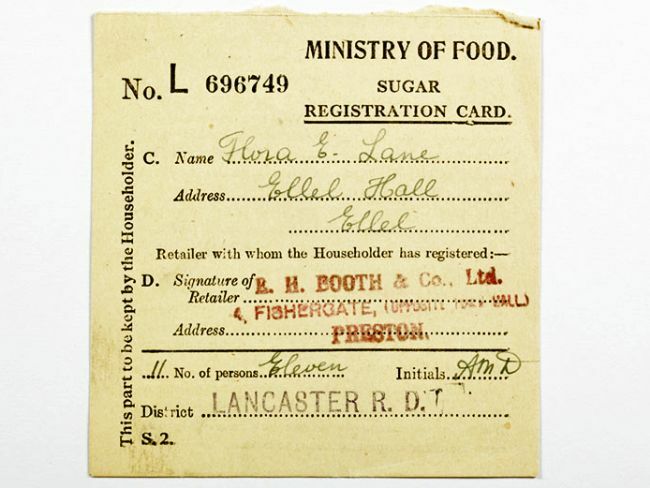 Ration cards were issued and everyone had to register with a local butcher and grocer. The first item to be rationed was sugar in January 1918, but by the end of April meat, butter, cheese and margarine were added to the list. Some foods were still in short supply even after the war ended, for instance butter remained on ration until 1920.